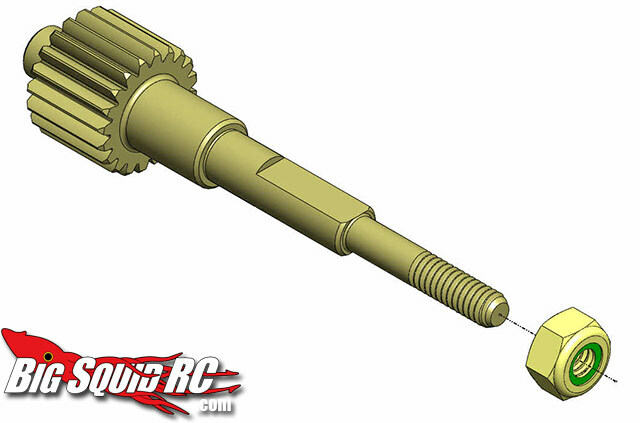 MIP Lightweight Top Shaft for Associated B4.1 T4 SC10 « Big Squid RC – RC Car and Truck News, Reviews, Videos, and More! Who can’t use to loose a little weight right? Well MIP has a new hard anodized Lightweight Aluminum Top Shaft for the Associated B4.1, T4 and SC10. It’s a direct replacement for the 3-piece steel stock parts, and you then only need the one. The lighter rotating mass will help with all sorts of benefits. Speaking of MIP, have you seen our Pro4mance Losi Ten SCTE Chassis Review?